Every second successful attack caused downtime by knocking out parts of essential systems. In the past two years, hackers have been relentlessly bashing networks of critical infrastructure across the globe. In many occasions they have been successful, knocking this critical infrastructure out and causing serious damage. A new report by the Ponemon institute, based on an anonymous poll of more than 700 security professionals, working on defending critical infrastructure in the US, UK, Germany, Australia, Mexico and Japan. Nine in ten said they had experienced a successful cyberattack, with many reporting between three and six attacks. Every second successful attack caused downtime, by knocking out parts of essential systems. The respondents were also tight-lipped on the details of various attacks, citing security reasons. They added that they’re lacking resources and intelligence about the attacks, and that’s cause for concern. "That is a really big change and that's why the risk isn't just theoretical any more. We believe the reason behind it is increased connectivity to industrial control systems. Today we want to be able to do analytics and predictive maintenance in our power plants, but the proliferation of smart devices and sensors and IoT is really increasing our cyber-exposure to attack. 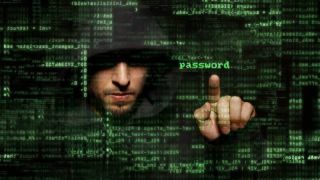 In many cases, organisations don't even know what is connected to the internet and what can be accessed by hackers." Four years ago, a worm called Stuxnet attacked Iranian nuclear power plant facilities, knocking them offline and causing both the plants, and the country itself, serious damage. Some media dubbed Stuxnet “the world’s first digital weapon”.